Best Slim reviews (UPDATED 2019): Is it safe? Best Slim reviews: Is it safe? While the weight loss market is flooded by pills and powders that all claim to be the answer to your weight loss prayers, many of these claims, as well as the drugs themselves, come without the approval of the Food and Drug Administration. 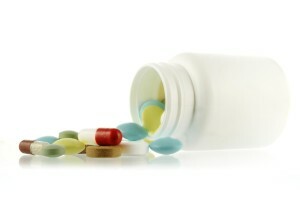 Best Slim is a little different, though: not only has the FDA not approved the drug, but the Administration has actually taken action against the makers of Best Slim, forcing them to recall the product from the market after discovering that the drug contains a dangerous and illegal substance known as sibutramine. With such a negative and controversial history, it’s almost not worth examining Best Slim to determine whether it’s safe or effective — the Food and Drug Administration has already answered this question with a resounding “no”. However, Best Slim’s official website still seems to be marketing the product, although it is unclear whether or not Best Slim still contains sibutramine. It would seem unlikely that the makers of Best Slim would still be able to get away with selling a product that contains a dangerous and illegal substance even after the FDA has taken action against them, but let’s take a closer look into the product and see what we can learn. Best Slim is produced by a Georgia-based company known as CTY Best Group Inc. The official Best Slim website offers several forms of contact information for the company, such as a PO Box, phone number and email address, clarifying that they will respond to any questions or comments via email. 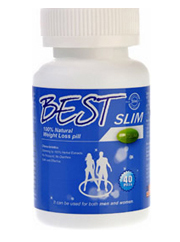 CTY Best Group Inc. recalled Best Slim in 2019 after the FDA discovered that it contained sibutramine. Best Slim is to be taken twice a day with meals. Best Slim’s official website suggests taking one pill in the morning and another in the afternoon for best results. Best Slim’s official website offers virtually no information explaining how the product actually works. It simply makes the promise that its product is capable of such garden-variety weight loss pill capabilities such as boosting your metabolism, suppressing your appetite and increasing your energy. Best Slim’s official website offers two positive reviews of the product, but as these testimonials are provided by the company itself they hardly qualify as trustworthy. One of these reviews simply consists of the word “Good.” Unfortunately, the limited availability of Best Slim means that there are very few reviews of the product online by people who have actually given it a try. A few people seem to have reported that use of Best Slim actually resulted in weight loss, but these reviews could only be found by unnamed reviewers on shady weight loss pill websites. Best Slim’s official website claims that the product’s ingredients include a mix of “100% herbal extracts” as well as extracts of green coffee beans and raspberry ketone. The weight loss properties of green coffee beans have been observed in several tests that found the ingredient to be capable of helping overweight users lose a significant amount of weight, but raspberry ketone has only been tested on animals and the effect it may have on humans is still unknown. The inclusion of coffee beans means that consuming Best Slim may result in side effects that are typical of caffeine, such as lack of sleep and restlessness. Other sources claim that Best Slim’s blend of herbal extracts includes ingredients such as Cassia and Coicis Extract, both of which are laxatives to help rid the body of waste and produce temporary weight loss results. As stated previously, Best Slim was recalled due to the inclusion of a substance known as sibutramine, an illegal drug that has been banned by the Food and Drug Administration for safety reasons. While sibutramine does contain powerful appetite suppressant abilities, users run the risk of experiencing some grave side effects. 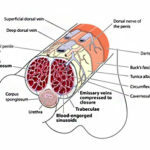 Sibutramine has been known to increase users’ pulse rate and blood pressure, and presents a serious risk to people who have a history of heart failure, stroke, coronary artery disease and arrhythmias. Before it was recalled, Best Slim did not advertise that it contained this ingredient. Best Slim allegedly offers a 100% money back guarantee. Best Slim contains ingredients that are not known to result in substantial weight loss, and has previously been recalled by the FDA for including the illegal ingredient sibutramine, which is not safe for human ingestion. Most troubling of all, it is unknown whether or not Best Slim still contains sibutramine. Best Slim is a product with a shady history that has previously been taken off the market by FDA due to the unadvertised inclusion of a dangerous illegal drug known as sibutramine. While Best Slim claims to be capable of helping you lose weight by boosting your metabolism and suppressing your appetite, there is a lack of available evidence that the ingredients advertised as being in Best Slim will actually result in substantial weight loss. It is unknown whether or not Best Slim still contains sibutramine, a dangerous and illegal drug that originally led the Food and Drug Administration to recall the product in 2019. While it seems unlikely, it’s important to remember that Best Slim did not advertise the inclusion of sibutramine the first time around, either. Even if Best Slim no longer contains sibutramine, the ingredients it does contain are unlikely to result in the kind of weight loss users are probably looking for. Whats better than Best Slim?